This impressive bonsai pairs the thick green foliage full of youthful energy and the powerfully protruding trunk which peeks from the leaves. 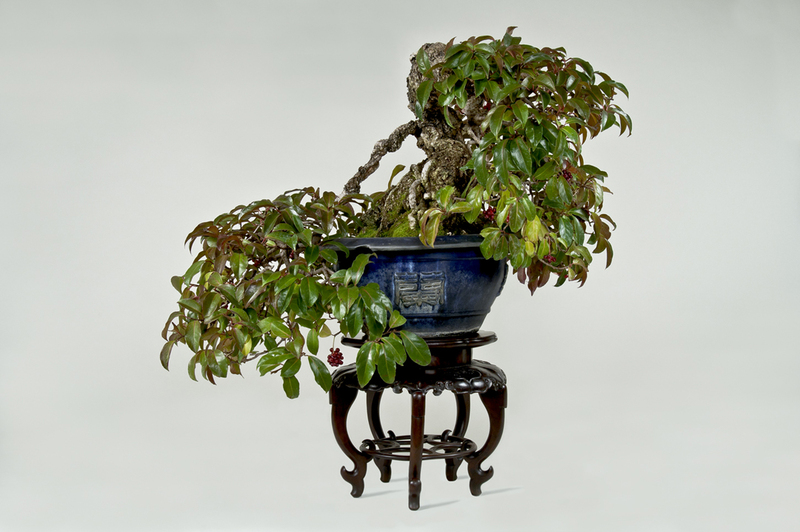 The freely curving branches are a highlight of vine bonsai such as this. Kadsura vine’s Japanese name, binankazura, means handsome man, a name given because the sap of this plant was used in hair dressing.